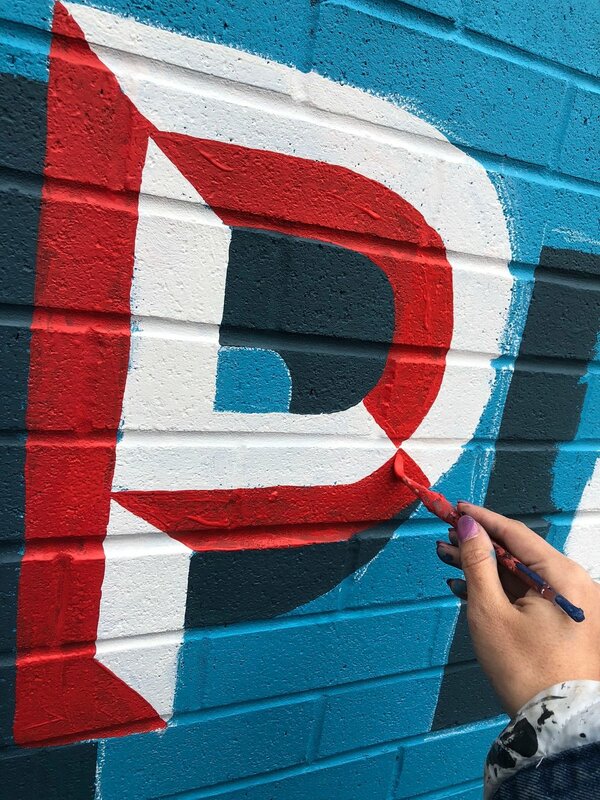 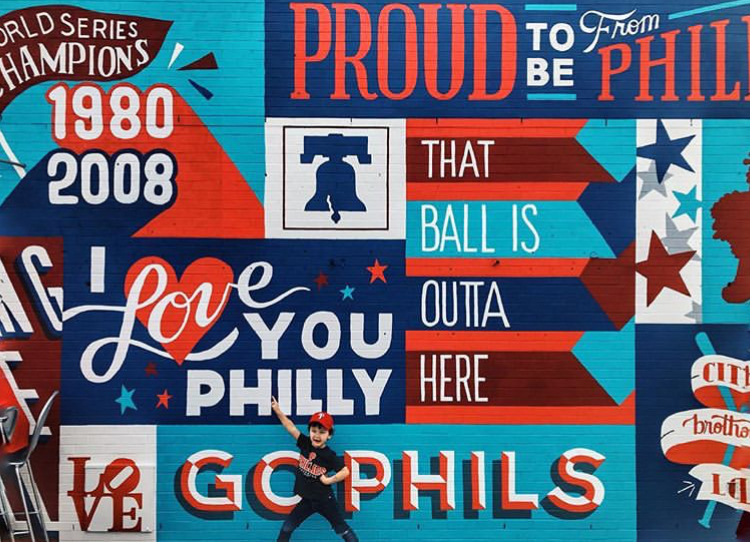 Philly's Opening Day — Pandr Design Co. 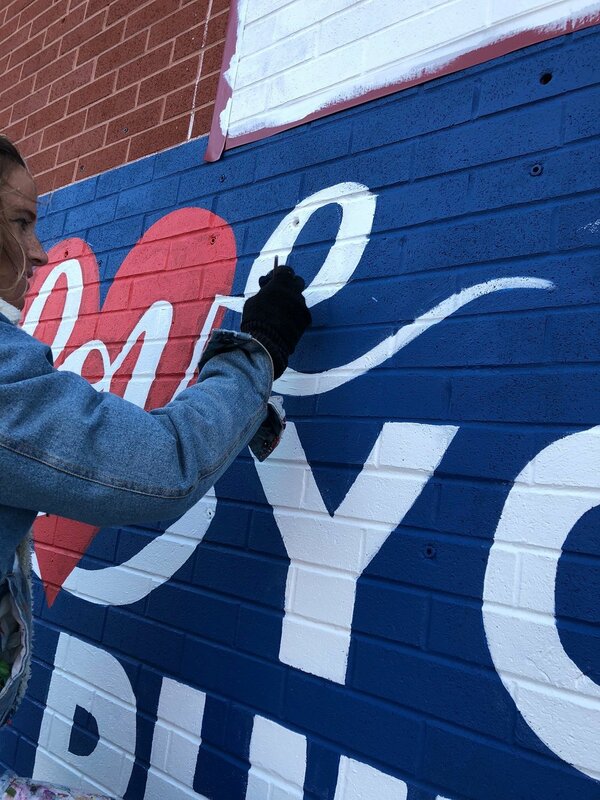 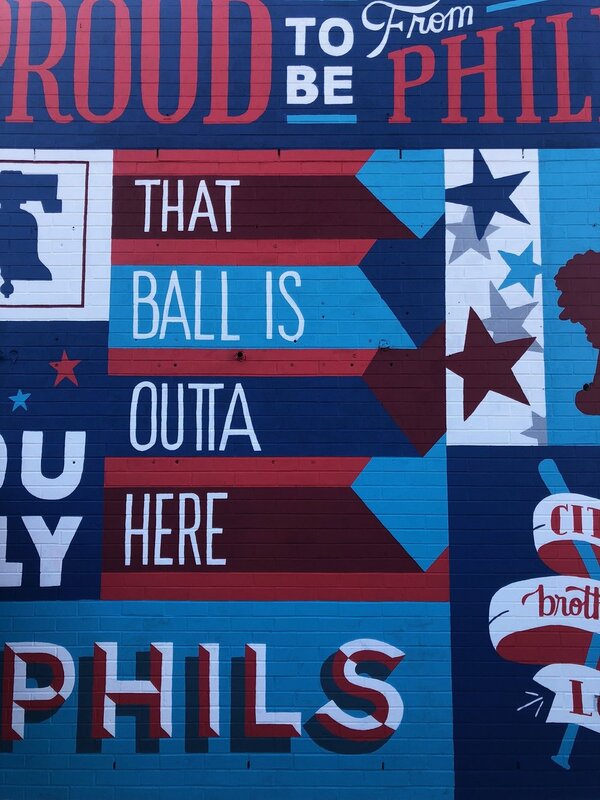 Opening Day always calls for good baseball, sunshine, hot dogs and murals! 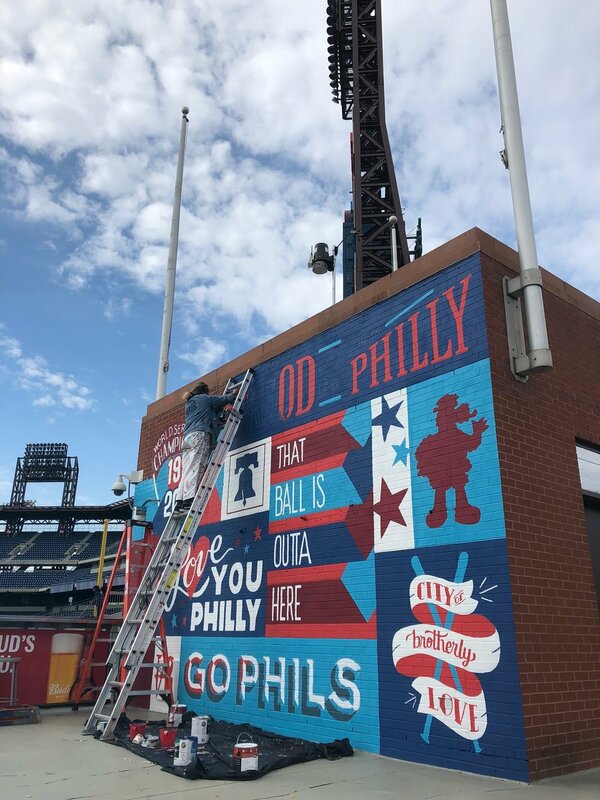 With a patriotic flair inspired by the City of Brotherly Love, our design showed up to please Phillies phanatics for the team’s big day at Citizens Bank Park. 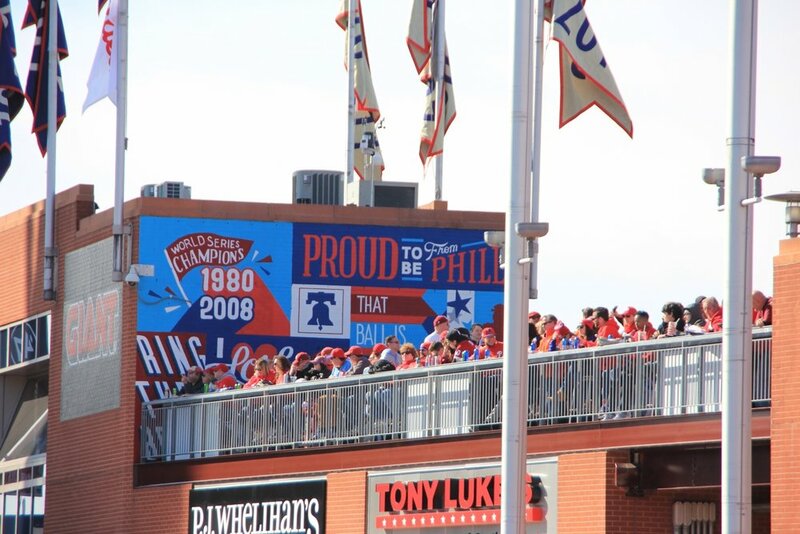 The installation turned out to be a big success the day the park opened. 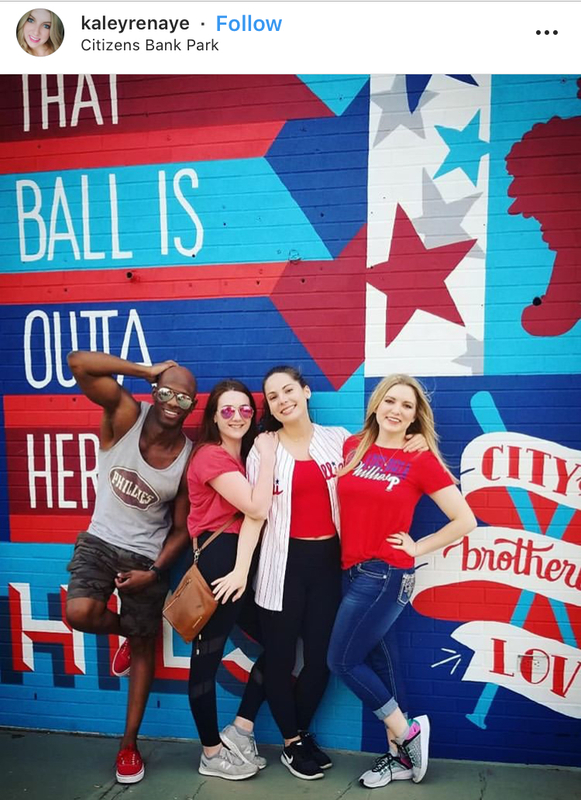 Drawing in lots of crowds to the wall was our bright color palette, Philly Pride, and of course the graceful silhouette of the Philly Phanatic.